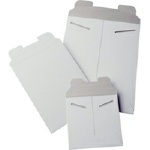 As you know, there are thousands of different types of packaging available. CD Solutions can get you almost any of them. We've listed some of the more common ones here so that you may purchase them on-line easily. If you don't see what you want, that doesn't mean we don't have it! Please call one of our sales representatives and they'll get you pricing and be able to take your order. Call at 800-860-2376. They're waiting for your call. 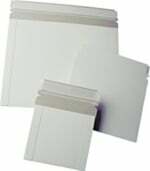 PX12-120 The Xopax PX12 Overwrapper wraps multiple types of optical media packaging with a tight folded corner using standard polyfilm. 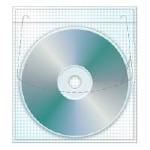 It offers a very inexpensive cost per wrap for CD jewel boxes with an average cost of only a penny per wrap. The Xopax PX12 Overwrapper is fully compatible for the wrapping of CD jewel boxes, DVD cases, Blu-ray cases, slimlines or even multi-disc cases. 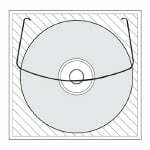 CDS-CD1 White Paperboard Disc Sleeve, 5"x5", 500 per Box CDS-CD2 White Paperboard Disc Sleeve with Window, 5"x5", 500 per Box Jewel Case Jewel Case with Black Tray Assembled.